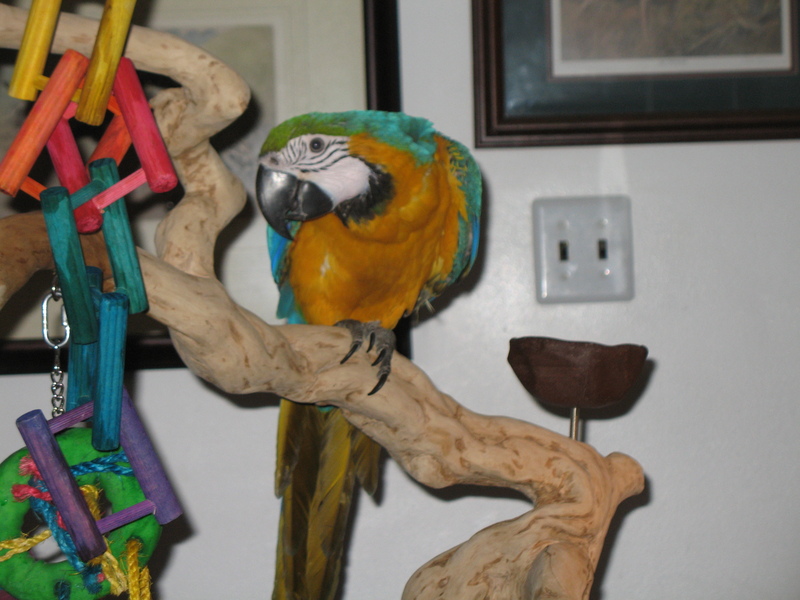 We searched and searched to find a playstand for Tiki, so that he/she (yup, DNA results still pending) can spend lots of time out of his cage. 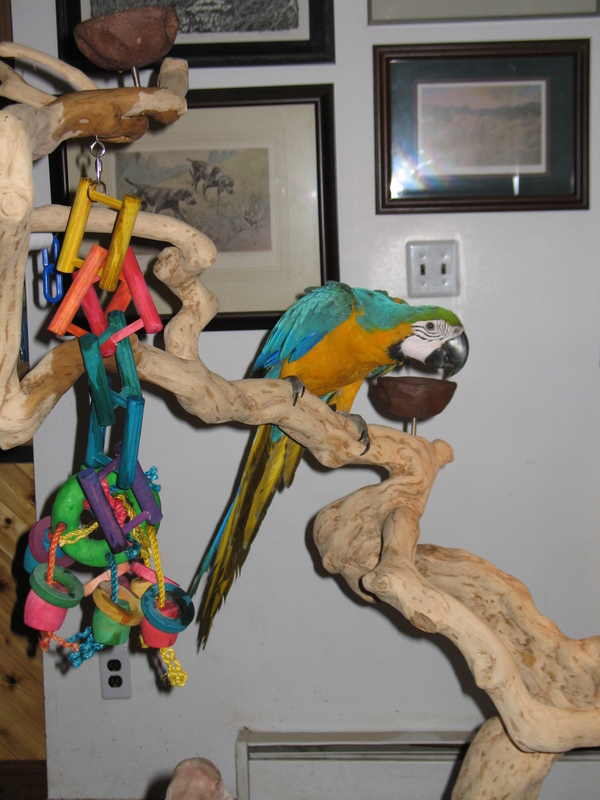 We finally found this Java tree stand at Featherheads (gotta love the name) in Sterling, VA. Of course, with a new playstand a parrot's gotta have new toys! So, what's the first thing Tiki does? Why, check out what's in the food dish of course! 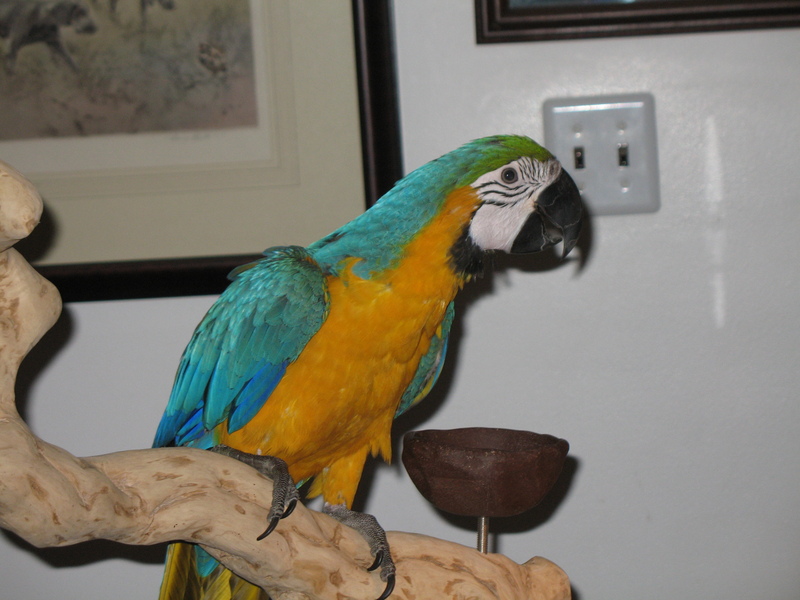 After all, at not yet 6 months of age, Tiki is still a growing bird! He's still on 2 hand feedings a day, but thankfully also spends a good deal of time eating his pellets. While it is a great bonding experience, we'll be glad when the hand feedings are over. 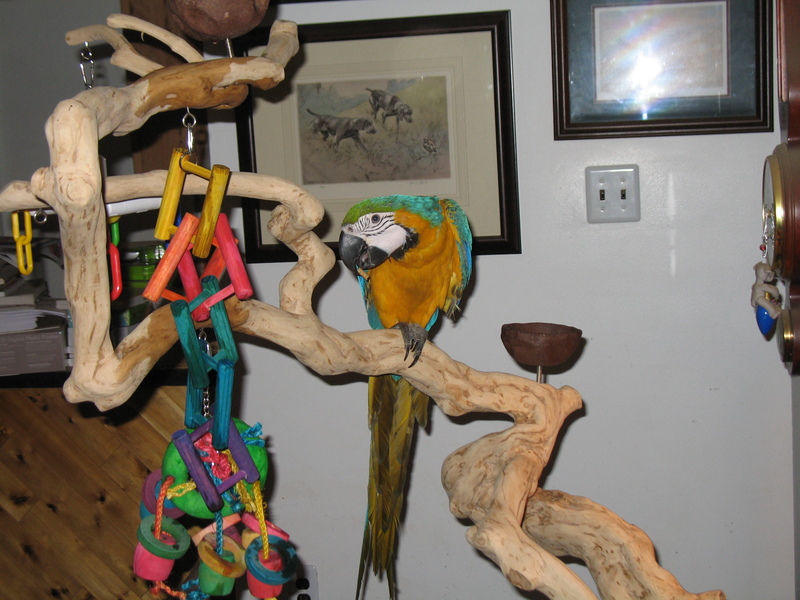 After snacking, Tiki took the time to check out the view from his new playstand. Don't you think I'm cute?